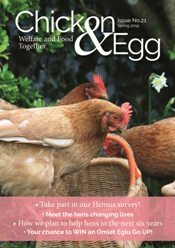 The British Hen Welfare Trust is registered as a charity (No. 1147356) with the Charity Commission. We keep our costs low because we have a very small staff team at ‘Hen Central’ in Devon and our nationwide re-homing initiative is carried out through our network of volunteers. Even so, we are constantly on the lookout for new and different ways to raise funds to meet our costs, and because we know there is always so much more we could do if we had the resources! 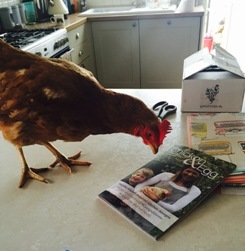 We are funded mainly by individuals – people who give us donations when they re-home hens, or who give single or regular gifts to support our work. Other supporters fundraise for us by getting themselves sponsored for a challenge event, by holding a Bake, for Hens’ Sake! event, or by joining our Egg Club. In addition, all the profits from our online shop go directly to fund our re-homing and educational work. We also receive legacy gifts, celebration gifts and gifts in memory of loved ones. As well as individual supporters, we also work with a number of like-minded companies who advertise in our publications, give us donations, sponsor publications or events, or give us gifts in kind. A number of charitable trusts and foundations also support our work – organisations like The Primrose Trust, Support Adoption for Pets, The Persula Foundation and The Jean Sainsbury Animal Welfare Trust have made a huge difference to what we have been able to achieve. We are members of the Institute of Fundraising, and of the Fundraising Regulator. We publish an annual report and accounts, which can be downloaded via the Charity Commission site here. Thank you to all our supporters and donors – we couldn’t do it without you!